The News Letter series Stop The Legacy Scandal is only a week old, with several weeks to go, but already it makes damning reading. A range of voices, with various backgrounds and understanding of the Troubles, have written about the way the narrative on the past has turned against the security forces who prevented civil war. On Monday Colonel Tim Collins wrote about the disgraceful pursuit of veterans, on Tuesday William Matchett about the trashing of the RUC, on Wednesday Dr Cillian McGrattan on how we are allowing a pro terrorist narrative to emerge, on Thursday Canon Ian Ellis on the immoral equating of victim and perpetrator in the official designation of a victim, and yesterday Professor Arthur Aughey on the historical distortion of the past. Today, in another powerful contribution to the series, former chief superintendent Norman Baxter writes of how victims have lost out because they do not make threats. This series is only beginning (contributions to date can be seen on our website www.newsletter.co.uk/news/opinion on the link below). 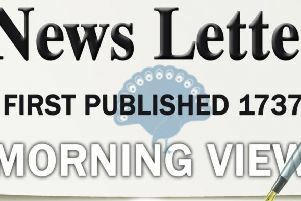 While republicans have no difficulty of getting their collusion claims aired, to distort the record of the security forces, the News Letter is making space for another view. Of the many matters that Mr Baxter raises that will get more scrutiny in the series is the legacy inquests, and why Britain has not queried the view that Article Two of the Human Rights convention requires costly separate probes.